Harbinger is known worldwide for their supportive strength gear. Their strength equipment covers a variety of needs including powerlifting, weightlifting, bodybuilding, and recreational lifting. Chances are you’ve seen their equipment in a gym at some point during your lifting career. A belt’s versatility is key to performing both strength and power movements in a single workout. 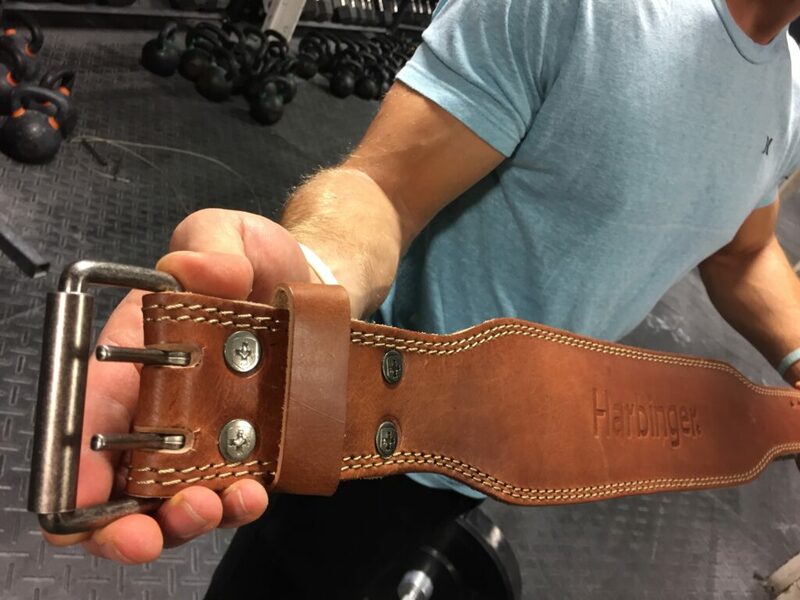 When we received our Harbinger 4″ Classic Oiled Leather Belt, I was pumped to put it to the test. 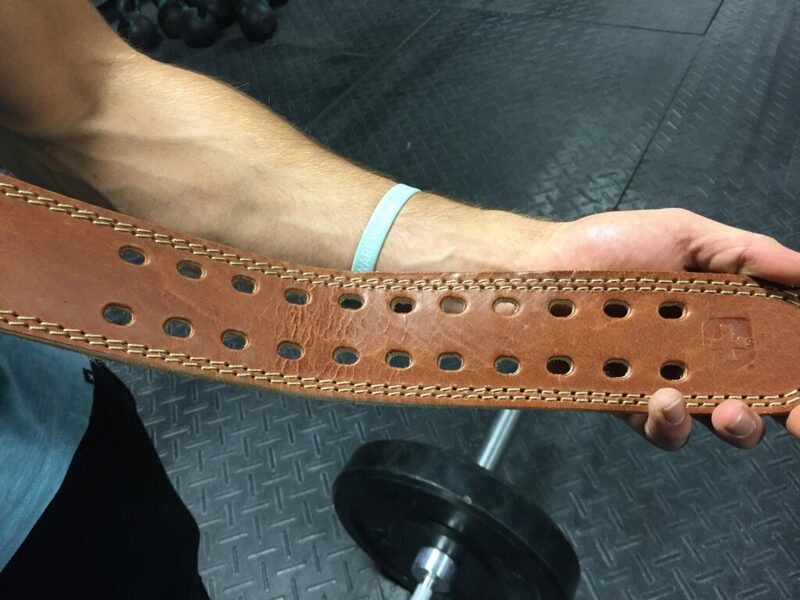 This belt is different than most leather lifting belts due to its smell. Every leather belt is typically oiled, but with this belt you can really smell the oil, which wasn’t necessarily a bad thing – it was a very old school experience. Oil smell aside, I put this belt through a variety of tests including the power clean, back squat, front squat, and deadlift. Check prices HERE on the Harbinger Oiled Leather Belt. This belt was similar to most leather belts I’ve tried. I liked the contoured posterior portion and the smaller front. That’s always my favorite part of a versatile belt like this one. I enjoy that the front is made skinnier so I can move a little more freely when performing power movements, especially the clean. On the flip side, some lifters may want a belt that’s the same level of thickness all the way around. If you’re looking for that, then this belt won’t be your best fit. In terms of this belt’s stability during strength based movements like the squat and deadlift, it felt good. This belt is 5mm thick, which isn’t the thickest leather on the market. The belt had a little more of a flexible feeling when compared to something such as a lever leather belt. I thought this was both a good and bad thing. It’s good because it’s somewhat rigid and wraps the body well, as it’s less thick. It could be a bad thing for those who rely on a belt’s rigidity for lifting 1-RM or extremely heavy loads. From my tests, whether I was performing power or strength movements this belt held up well. It hugged the torso tight, which compensated for the lack of thickness. The double-prong front was also a nice edition to a stable hold, especially when flexing forward. With leather belts there’s typically a few lifts that they feel uncomfortable and stiff. This particular belt felt pretty good after only two lifts. I think it had to do with the thinner construction. Also, the inner portion of the belt is made softer than the outside and is a nice touch for comfort around the torso. There’s no added pad on the back either, which allows the belt to truly make full contact with the torso. One point to consider with a thin belt like this is it can dig into the body. I noticed that this belt was a little more prone to digging into my ribs during any form of awkward bending (if and when it happened). This wasn’t a huge issue since in most cases most lifts with belts don’t involve a ton of bending, but it’s definitely something to keep in mind. This belt is Harbinger’s classic “old school” style belt. The whole leather and oiled texture shouts old school lifting, which was a cool experience this belt offered. While it says oiled in the name, don’t fret, there isn’t oil that gets on clothing or feels greasy. Their oiled finish leaves the belt with an external shiny appearance. It also makes the outer layer a little stiffer and slick. The inner portion of the belt is a little softer with what feels like a more worn leather. 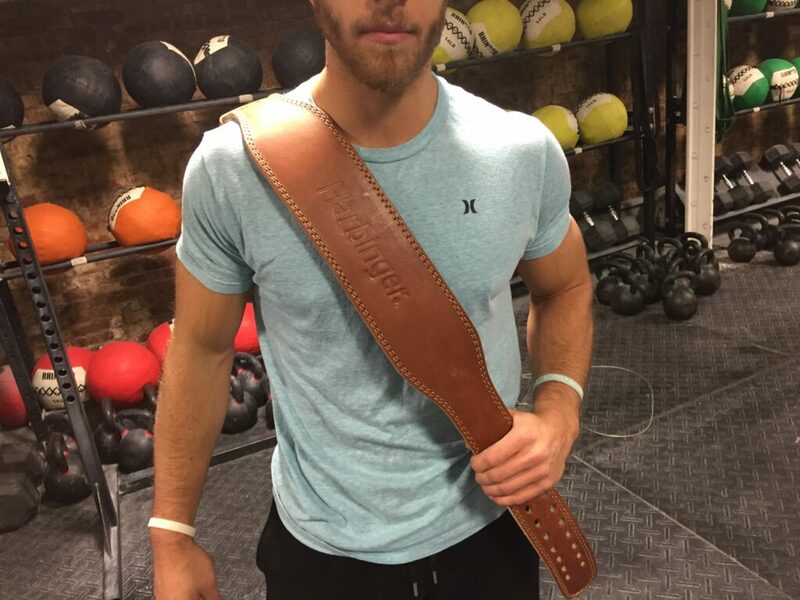 When I think of Arnold lifting in the 70’s, this is the belt I imagine he would wear. No frills or fancy padding, just leather. Some lifters might like the no frill style, but some may find that as a turn off. Other belts like this have an added pad, which is usually a big selling point of this styled belt. In terms of durability I didn’t sense any immediate issues with this belt. I like that there’s double stitching all the way around. The stitching felt heavy and well done, which made the 5mm thick leather feel tight and compact. There’s also a large stainless steel buckle on the front with two prongs. This provided minimal movements with the strap when I buckled up. The inner layer looks as though it may fade with excessive moisture, which would be something to keep in mind for shirtless lifting. The price of this belt was a little on the medium end at $49.99. Yes, this is an oiled leather, double-prong belt, but I don’t see much more justification behind the price between those. There’s a 5mm thickness, which isn’t the thickest leather I’ve tried, so the price isn’t high for the belt’s thickness. If you’re a lifter who truly wants a classic, old school leather belt that’s going to last, then I could see this price point being okay. To conclude my review of the Harbinger 4″ Classic Oiled Leather Belt, there were definitely a few pros and cons worth noting. I really liked the simplicity and comfort this belt had to offer. In addition, this belt felt durable from the first use, so it’s a belt that’s going to last you a while. I didn’t like the price, I thought it was a little high for a no frill leather belt. This belt was a solid option for someone looking for a leather versatile belt with no frills.